The number of disappeared people keeps growing day by day. Those numbers are even more alarming when it comes to kids being kidnapped after school. So many reasons cause such disappearances, and among them – family matters. It is the Chinese New Year day. Cai (Shuxian Li) and Ding (Zhongwei Sun) walk into the police department, where the officer is preparing for the big celebration. Ding tells the officer about the disappearance of his daughter. The man does not hurry to learn the whereabouts of the little girl but continues to carry on whatever he was doing. The two parents look at each other, and it almost looks like they are blaming one another for something. One thing is certain, their night is not going to gentle, welcoming and protective, as they both must embark on a journey of forgiveness, and start their lives from the scratch… If they can, of course. 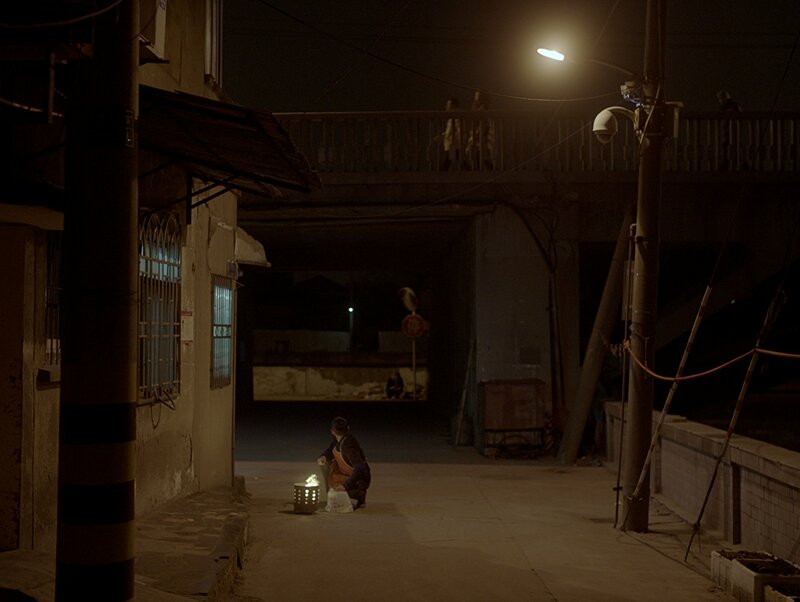 The short film “A Gentle Night”, written and directed by Yang Qui, is one of the best shorts I’ve seen for a long time. It’s strong directing style, the actors’ performance, and the excellent storytelling subtly unfold the relationship between a daughter and her parents into a dramatic conclusion. All of this makes this film truly amazing. And even though it breaks the viewer’s heart to watch it, some scenes are painfully real, clearly emphasizing how a man and a woman go through pain and fear that, realizing that the police may not be able to find their daughter.